The office: the one place in your home that is the most disorganized and needs it the most. Get rid of the clutter and down to business with these ingenious life hacks to calm the craze. Have your accessories at hand by clipping them next to your desk. 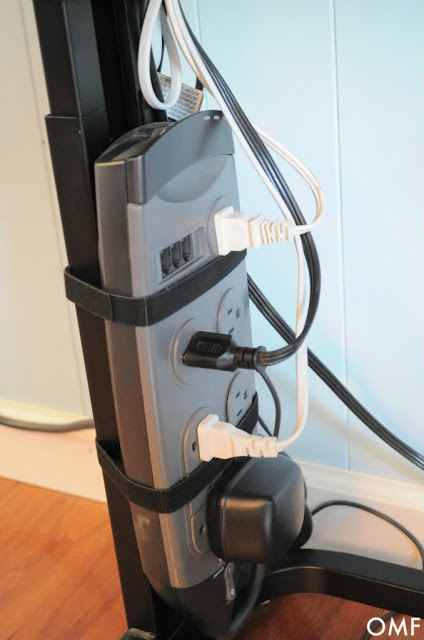 An awesome space saver, you’ll wonder why you didn’t think of this organization hack earlier. Life at your desk can be pretty hectic. 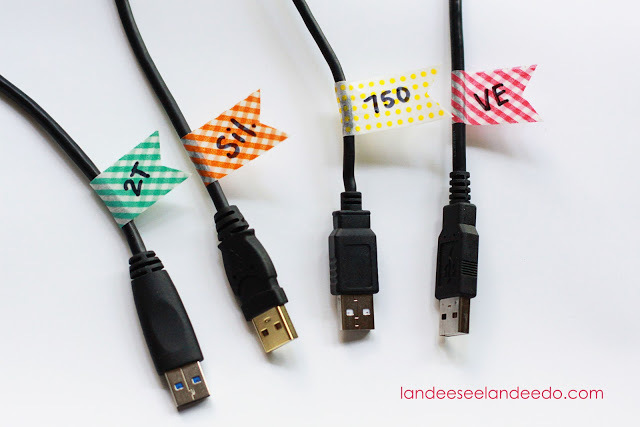 Systematize your bajillion computer cords by adding a bit of washi tape to label each one. Not only will this help you keep your desk space looking nice and neat, it will look pretty as well. The power strip is easily the most annoying office function. Keep it from playing footsies with you by using a bit of velcro to adhere the bad boy to a desk leg. Teachers are easily the most genius and creative organizers. 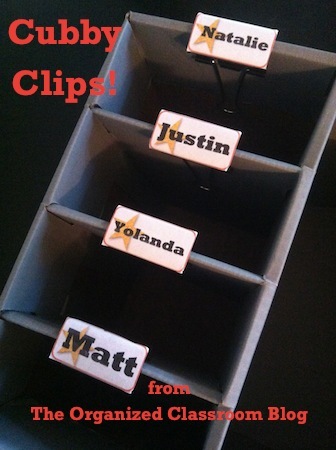 Steal this idea and utilize binder clips as an inexpensive way to organize your files. Short on shelf space? 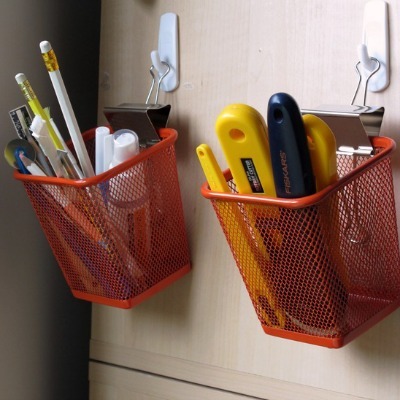 No problem, Command hooks and binder clips can come to your rescue. 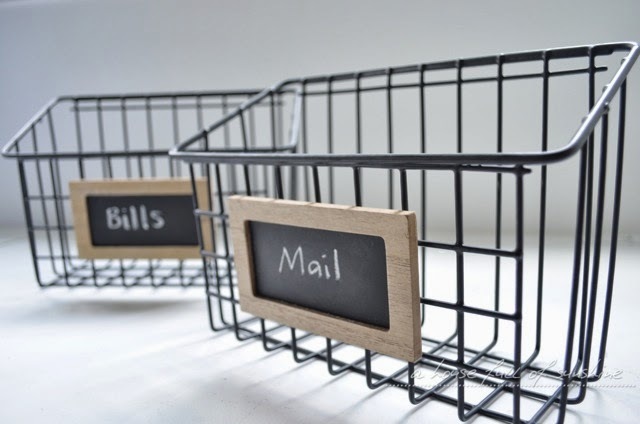 Adhere them to an open wall space or an area on your desk for an easy way to organize your supplies. Marisa at Freutcake fell in love with an Anthropologie desk organizer. Not wanting to shell out the cash for the Anthro version, she came up with the next best thing; she made her own. Made with glass vases, glue and wood, this is a heck of a lot easier than it looks. Industrial is hot in home decor right now. The price, however, is not. Make your own industrial-looking mail center for the office with this blogger’s tutorial. Not only do we need to organize our work, we need a place to organize our family’s hectic schedules. 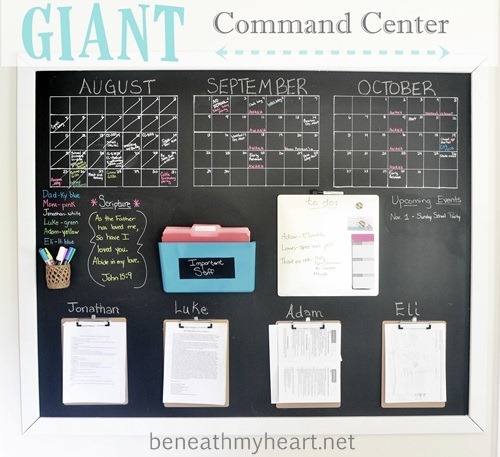 Know where everyone is during the day by keeping daily tabs with this command center. 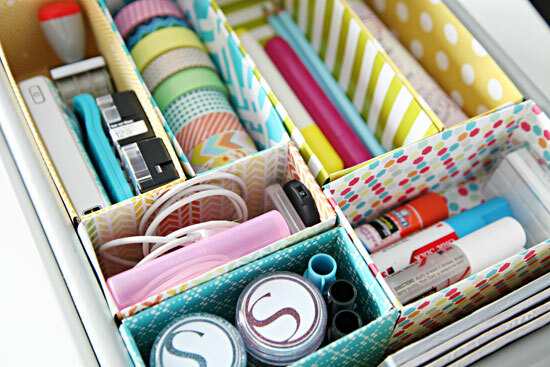 Organizing is essential from the outside in. 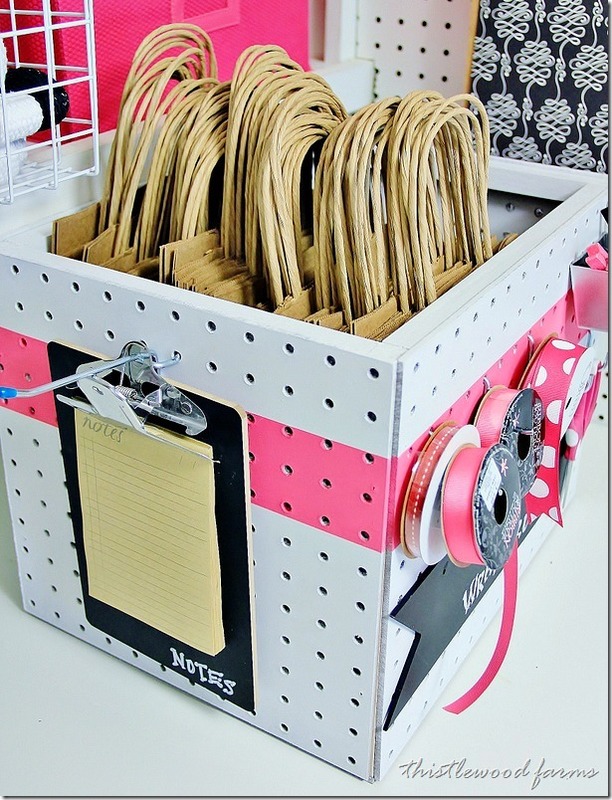 Assemble a drawer organizer with old cereal boxes and pretty scrapbook paper to allocate your supplies. Take your pegboard off of the wall and onto the outside of a storage box with this awesome tutorial. Keep on your desk for easy access or make a few to line your shelves. 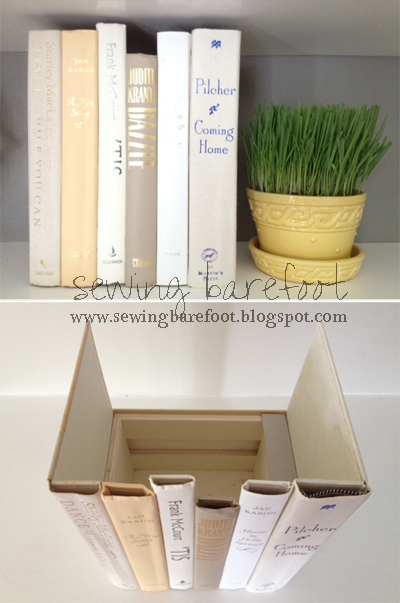 Hide essential desk items by making this hideaway book storage. Just make sure it’s not the Harry Potter series, as someone may actually want to read those. Office organization certainly doesn’t need to look bland. 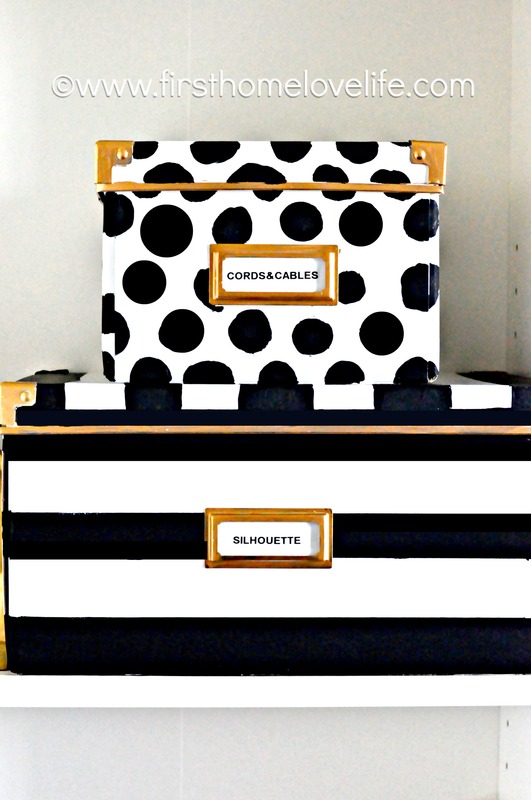 Make your storage boxes look fabulous with this Kate Spade-inspired DIY paint job. 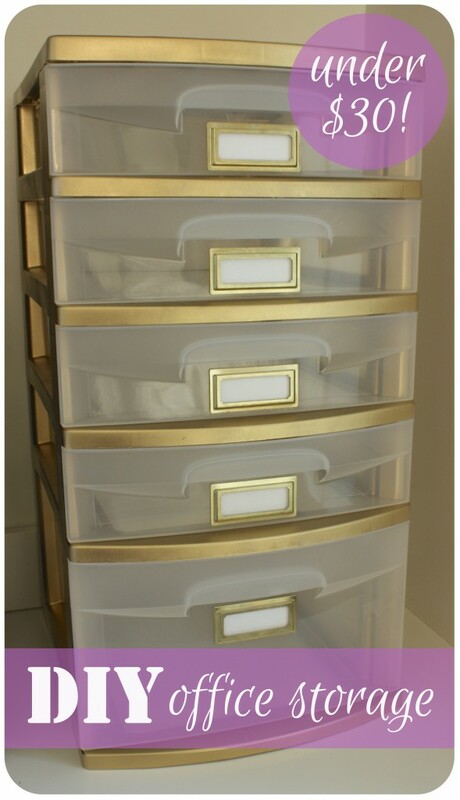 Storage bins, the cheap and easy way to organize your office. Like the boxes, these can be made to look much prettier than they really are. All you need is spray paint and a bit of your lady power to work some magic. 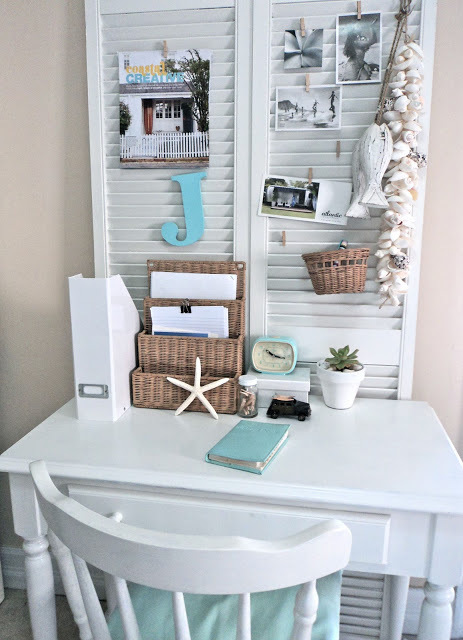 Go dumpster diving for wood shutters to hang above your desk area. Not only do these look vintage, they make for a great organized way to file your important documents. 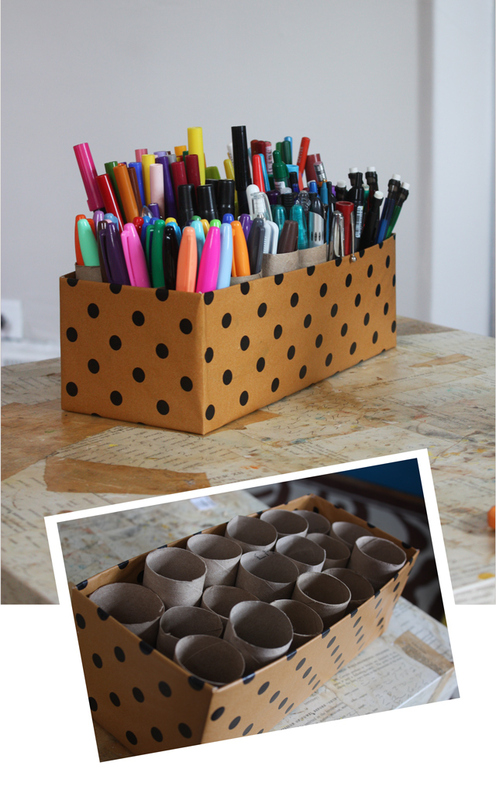 Take one shoe box and 18 empty toilet paper rolls and you’ve got yourself one heck of an inexpensive and creative desk organizer. Decorate to match your decor or leave the Nike Swoosh on there, the choice is yours.